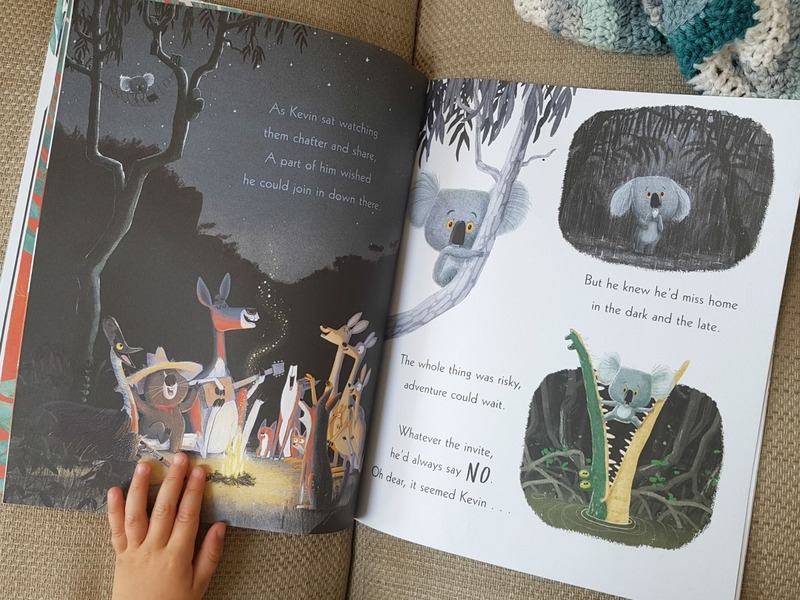 A little post to share a sweet book that we are loving at the moment – ‘The Koala Who Could’. 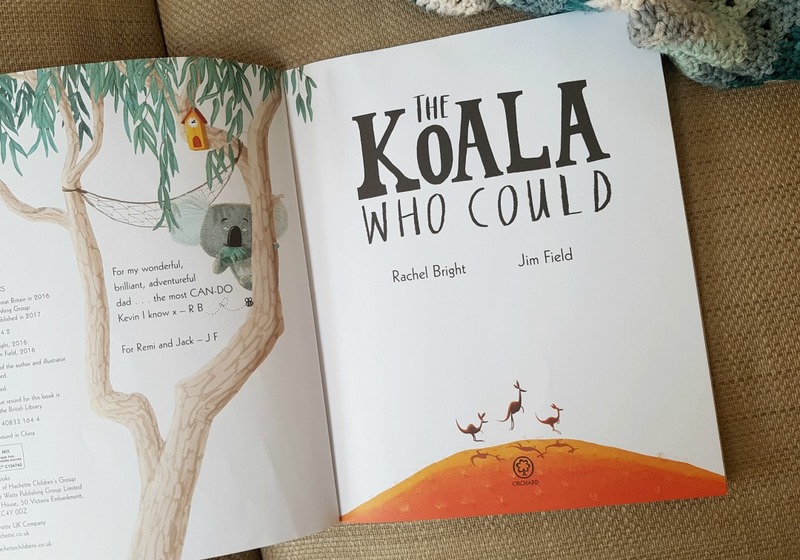 The Koala Who Could by Rachel Bright and Jim Field, features a koala called Kevin who won’t get down from his beloved eucalyptus tree. He is comfortable, happy, content and not keen to try anything new. No matter what – he clings to his tree. One day a woodpecker tap, tap, taps on the tree, and it comes crashing down. Kevin has no choice but to face the strange, and busy world below. 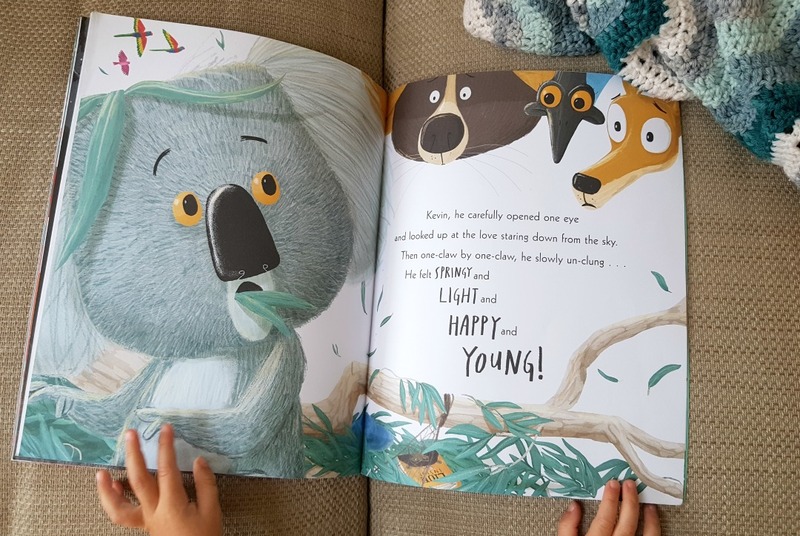 Kevin discovers that the world is really not scary at all – he makes new friends, tries new things and has some big adventures. 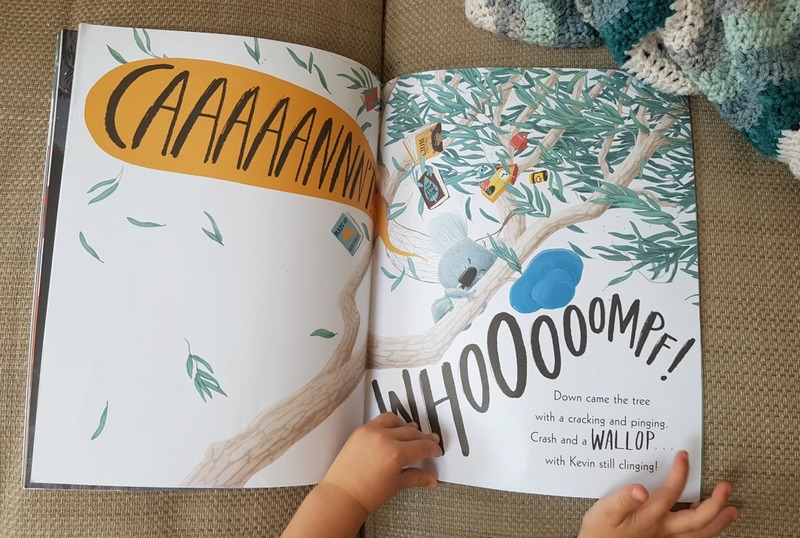 All three boys love this book, and so do I. The rhyming is superb and the illustration is bold and bright, plus I love the message. The message of trying new things and stepping out of your comfort zone is not only apt for children, but adults too. I think a huge marker of ageing is the aversion to trying new things, and becoming too comfortable. 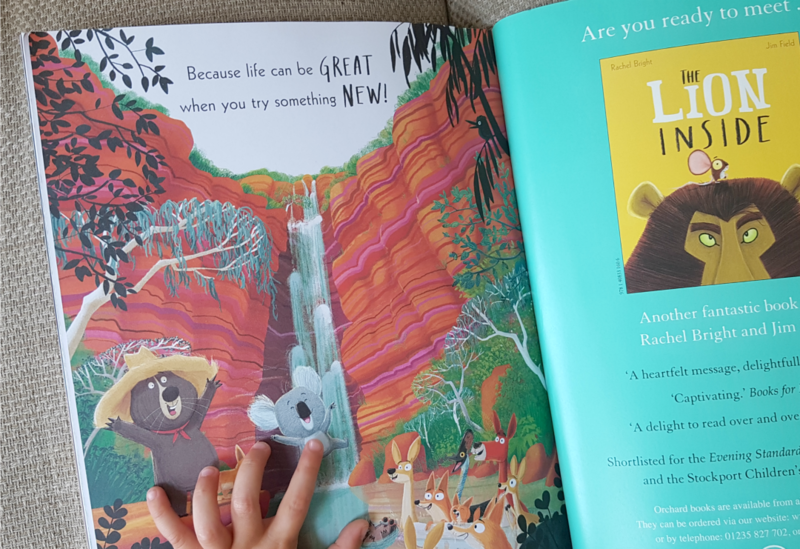 Children are often better at change than we are, but this book is provides a great opportunity to talk to them being a little brave, and accepting change. Sometimes change comes along whether you like it or not, but if you let it – it can be the making of you. Aww this sounds like an adorable book. I agree, trying something new is so important.